DENYS DE SAINT-SIMON, PAUL, provost of the marshalcy, member of the Conseil Souverain; b. 13 June 1649, baptized in the church of Saint-Sauveur in Paris, son of Simon Denys* de La Trinité and Françoise Du Tartre; married Marie-Madeleine de Peiras, sister of Jean-Baptiste de Peiras, on 18 Jan. 1678; d. in Quebec, 14 Oct. 1731. 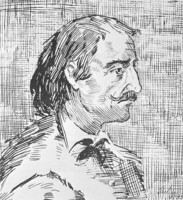 From August 1671 to August 1672 Denys de Saint-Simon accompanied the Jesuit Charles Albanel* on an arduous journey from Tadoussac to James Bay for the purpose of claiming the territory for France and of christianizing the Indians. 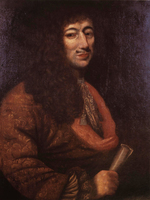 In accordance with his instructions from Talon*, he planted the arms of France at Lake Nemiskau on 9 July 1672. 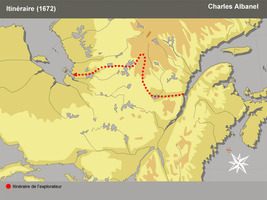 In 1678 Denys de Saint-Simon was appointed lieutenant of the marshalcy or “Prévôté des Maréchaux.” The marshalcy had been established in Canada by royal edict of 9 May 1677. It was a body of law enforcement officers, called “archers,” headed by a provost. The office of lieutenant, second in command to the provost, is said to have been created especially for Denys de Saint-Simon. Denys was named provost of the marshalcy on 24 May 1689, after the death of the first incumbent. The office carried an annual stipend of 500 livres. Denys continued to hold it until 12 May 1714 when he relinquished it to his son, Charles-Paul Denys* de Saint-Simon. In 1710 Denys was appointed temporarily to the Conseil Souverain and in 1714 was given permission to attend sessions; he received a permanent appointment to it on 1 April 1717. Towards the end of 1717 he was acting as attorney general. Denys de Saint-Simon also had farming and commercial interests. The census of 1681 shows that he had land under cultivation. 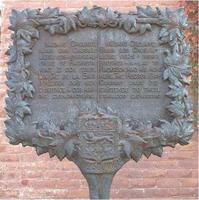 In 1700 he took shares in the Compagnie de la Colonie, formed to exploit the beaver trade. It is probable that, like other prominent members of the colony, Denys de Saint-Simon continued to invest in land and in commercial ventures, but his principal contribution appears to have been his public service as lieutenant and provost of the marshalcy and as a member of the Conseil Souverain. Documents relating to Canadian currency during the French period (Shortt), I, 404, 436, 446. Édits ord., I, 97. JR (Thwaites), XXXIV, 246f. ; LVI, 149–217, 303. PAC Report, 1899, Supp. ; 1923, App.D. P.-G. Roy, “Les conseillers au Conseil souverain de la Nouvelle-France,” RSCT, 3d ser., IX (1915), sect.i, 179. Sulte, Hist. des Can. fr., III, 57; V, 15, 54; VII, 41. Jacques Rousseau, “Les voyages du père Albanel au lac Mistassini et à la baie James,” RHAF, III (1950), 556–86. P.-G. Roy, “Prévôt de la maréchaussée en la Nouvelle-France,” BRH, VII (1901), 368f. A. J. E. Lunn, “DENYS DE SAINT-SIMON, PAUL,” in Dictionary of Canadian Biography, vol. 2, University of Toronto/Université Laval, 2003–, accessed April 26, 2019, http://www.biographi.ca/en/bio/denys_de_saint_simon_paul_2E.html.